great product and superfast despatch and delivery. 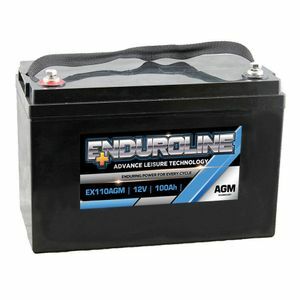 As an alternative to gel batteries at £100 cheaper and guaranteed for 4 years we considered them worth a try. We will, of course, not be able to tell for 4 years!! - but if they are well treated they should be OK.
Have not had a chance to test the product yet but I do have a concern about using a solar powered charger. I measured the output from the panel and it showed 18.5 Volts is this too high for the battery to take? Cannot review as it was returned and replaced with another battery. Excellent service, delivery as promised. Know where to come for next order, will recommend to fellow caravaners. As with all batteries, only time will tell as to how good the battery is but initial impression is very good.